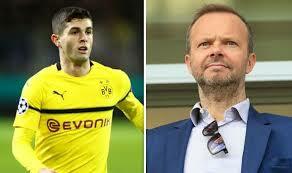 Chelsea sign Dortmund forward Pulisic for fifty-eight million pounds – Royal Times of Nigeria. 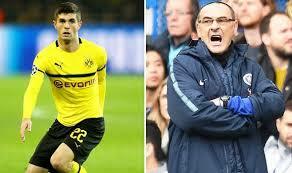 Chelsea have signed Borussia Dortmund forward Christian Pulisic for fifty-eight million pounds, but will loan him back to the German club until the end of the season. The twenty-year-old United States international, who was linked with Liverpool and Arsenal, joined Dortmund as a youth player in 2015. Pulisic has scored nine goals in twenty-three games for the US. It is the highest transfer fee for an American player, beating the twenty million euros Wolfsburg paid for John Brooks in 2017. Dortmund director Michael Zorc said it was always Pulisic’s dream to play in the Premier League. Pulisic’s contract at Dortmund was due to expire in June 2020.